Ready to pony up cash for emotes? 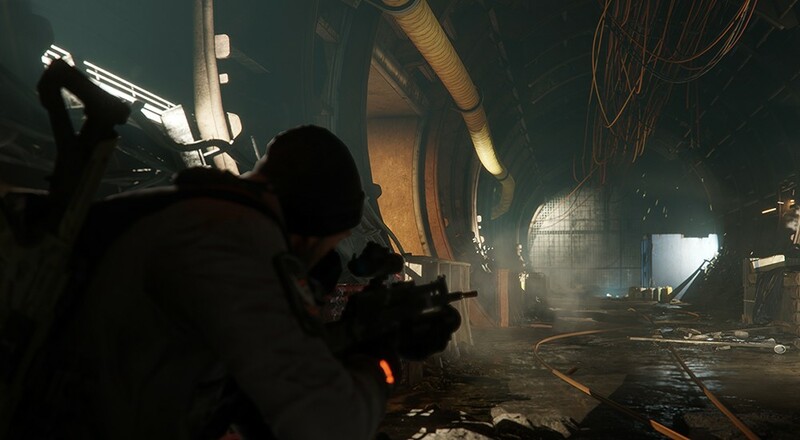 Tom Clancy's The Division continues to be supported by Ubisoft with consistent patches, updates, and content since it launched almost exactly a year ago. The latest update is dubbed 1.6 and featured some balancing tweaks and changes, but also some new content and one major change. For co-op players the new addition of the Legendary Difficulty should add some replayability to the game. Missions have been completely reworked to make them much more challenging. You won’t be fighting the same enemies you usually fight in those missions, though. All the previous content has been taken out and replaced with new, powerful and much smarter LMB enemies that use more advanced tactics against you and your team. They’ll react to your skills and status effects, will be hard to hit since they keep a low profile, will constantly try to flank you, and you really don’t want to get into melee range of them. If you’ve fought the Hunter in Survival, you have had a brief taste of what is coming. Legendary difficulty mode has been added to Times Square, WarrenGate Power Plant and Napalm Production Site and features new, powerful and smart enemies. Legendary difficulty is the most challenging content in the game and is intended for organized groups. Legendary difficulty rewards you with unique vanity items not available elsewhere in the game, on top of the regular rewards. Along with the new difficulty comes new gear sets and exotics. Named gear pieces and weapons are now called Exotics and have been given their own color in your inventory. Each of these weapons have their own unique talent, and can be found in Exotic Caches that are available as a weekly reward from Legendary difficulty missions. Perhaps the biggest change, and most controversial, is the updates to the in game store which introduces a micro transaction system. There's an FAQ on the Ubisoft forums regarding this, and for the most part it seems it's just vanity items - but that was also a big part of the loot collection in the core of the game as well. So it's unclear how this effects the overall content...yet. The huge list of changes can be found on The Division blog. The patch should be live shortly on the public test servers with a full release TBD. Page created in 0.2733 seconds.